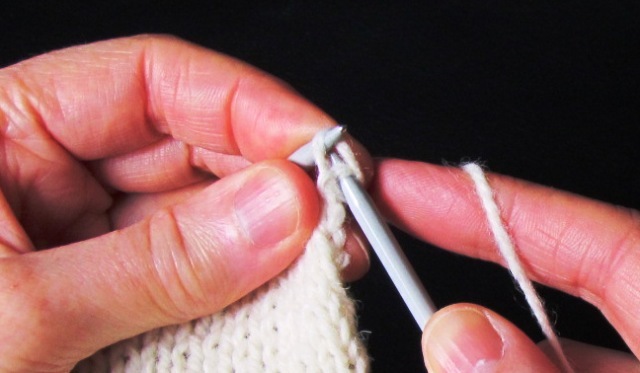 Other knitting terms will be needed after you have learned how to cast on knitting and mastering the knit and purl stitch. If you are making a knitted square or a garment then you will need to know how to increase and how to decrease the knitting stitches. These will appear in knitting patterns and will be abbreviated to "dec" , "psso", "inc", "k2tog". These decreases and increases are usually done on a knit row. 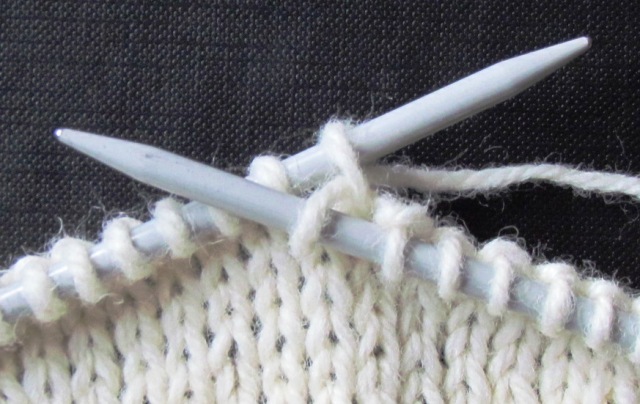 When knitting is being shaped, such as a raglan seam for a sleeve, the number of stitches needs to be reduced every few rows that the pattern will state. There are a couple of ways to achieve this the first is usually done at the beginning of a knit row. 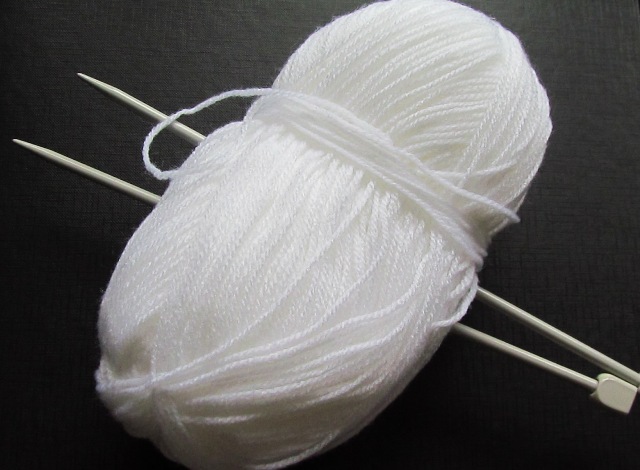 Which is to knit one stitch then slip the second stitch onto the needle without knitting it, then knit a third stitch. 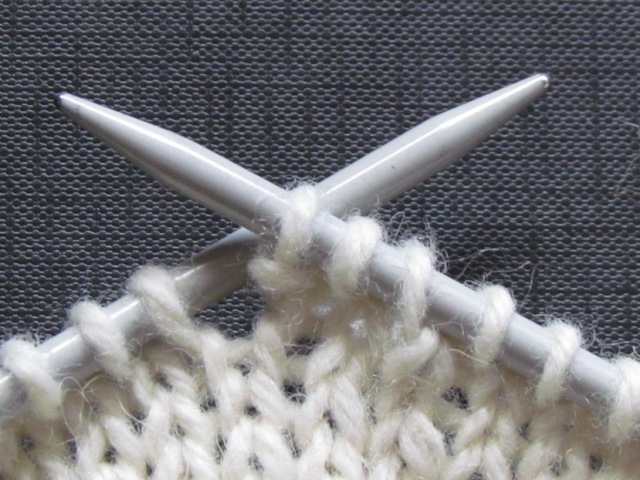 The second stitch that has been slipped is brought over the third stitch therefore reducing the number of stitches on the needle. Continue along the row. A second way of decreasing is done at the end of a knit row to ensure the decreasing goes in the right direction and looks neat. Here instead of slipping a stitch and then passing it over two stitches are knitted together. 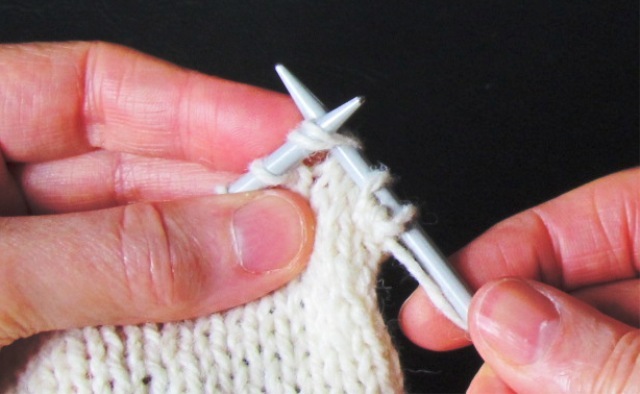 Slip the spare needle into two loops off the first needle and then knit as usual again the stitches are decreased. When knitting a diagonal square stitches need to be increased on alternate rows until the required number of stitches have been reached. In some patterns there will be an increase row after doing the bottom of a garment for example the rib. This will make sure that there is enough stitches to complete the pattern and the increases will occur right along the row. Begin the increase stitch as if a knit stitch was going to be done by inserting the spare needle into the loop on the first needle, wrapping the wool between the needles and the spare needle going through the loop. 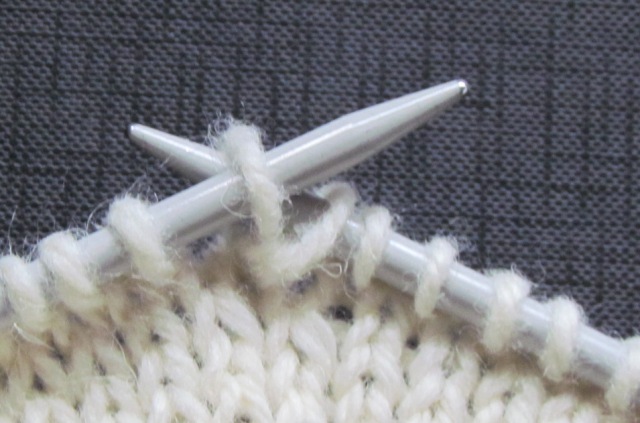 If a knit stitch was going to be done the stitch is then taken off the first needle so it remains on the spare needle BUT when increasing this doesn't happen. The point of the spare needle is then eased around behind the first needle and the tip is placed into the back of the stitch just done. Wrap the wool around as if a knit stitch is going to be done. Bring the tip of the spare needle in front of the first needle to catch the loop. 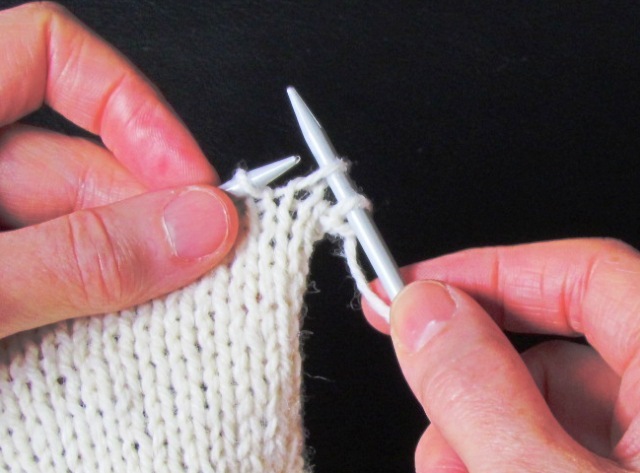 Finish the stitch by taking the first needle out of the stitch. 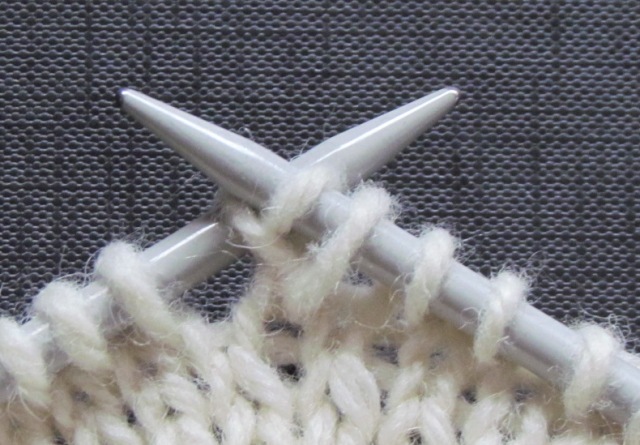 When looking at the knit side of stocking stitch the increased stitch can be seen because it looks like there is a loop at the bottom of the stitch. Practise, enjoy and don't get tangled up in the knitting needles and wool.